The gunman in Wednesday’s UCLA shooting has been identified as a former doctoral student who was angry with his professor over stolen computer code, TheWrap has learned. Mainak Sarkar was the second person found dead yesterday in one of the school’s engineering buildings, according to the LAPD. The 38-year-old killed Professor William S. Klug and then himself. The exact motive for the shooting has not been confirmed, but a blog post reportedly written by Sarkar in March — which has since been deleted — claims that Klug had stolen computer code from him and given it to another student. In addition, Sarkar is suspected in the murder of a woman in Minnesota that was committed just prior to when he came to LA. A note found at the UCLA scene led investigators to Sarkar’s residence in Minnesota, where they found a “kill list” that included Klug’s name as well as the female victim, believed to be Sarkar’s ex-girlfriend Ashley Hasti. 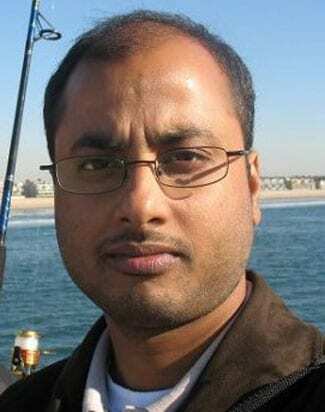 Photo of man believed to be Mainak Sarkar, the gunman in Wednesday’s UCLA shooting. 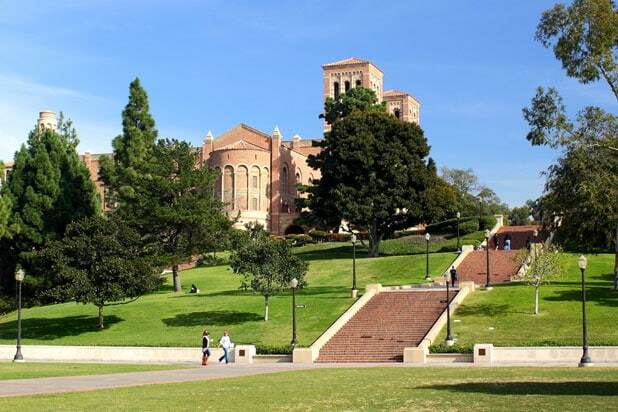 The UCLA campus was placed on lockdown Wednesday around 10 a.m. local time after reports of an active shooter emerged. Officers in tactical gear were seen entering Boelter Hall, which is part of the school of engineering. LAPD bomb squad members were also on the scene. Police were advising students to avoid the area. The LAPD pronounced the incident over around 12 p.m.
Two people died Wednesday in a shooting at UCLA that police said may have been a murder-suicide. 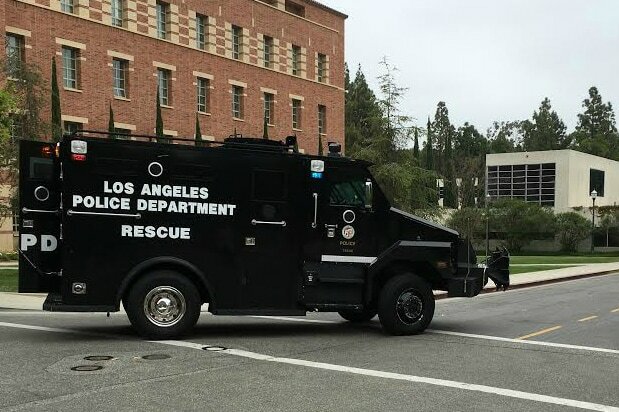 Students first reported the sounds of gunshots Wednesday morning, and a campus-wide security alert was issued at 9:52 a.m.
LAPD officers and bomb squad members responding to the shooting. Police first said two were injured, and later confirmed they were killed. Officers entered Boelter Hall, part of the university's school of engineering. Students were advised to avoid the area. UCLA campus police Chief James Harren told reporters at the scene there were still "dozens of people sheltered in place" two hours after the incident. Police later called the incident a “possible murder-suicide,” which would indicate the shooter was one of the two dead. Police could not confirm whether or not the two involved were students, and said a motive for the shooting was not immediately clear. LAPD pronounced the incident over around 12 p.m. "Campus is now safe," said LAPD Chief Charlie Beck.